When leisure served at idle hours. Ripe to the eye, easy to climb. Early 17th-century woman's jacket, shown being worn in the Portrait of Margaret Layton, attributed to Marcus Gheeraerts the Younger and displayed alongside it. V&A. Woman’s coif embroidered in Blackwork, English, early 17th century. V&A. Pair of gloves, 1630-50. V&A. Purse, early 17th century English, The Metropolitan Museum of Art. Christopherson, Historia Ecclesiastica. Lovanii, 1569. 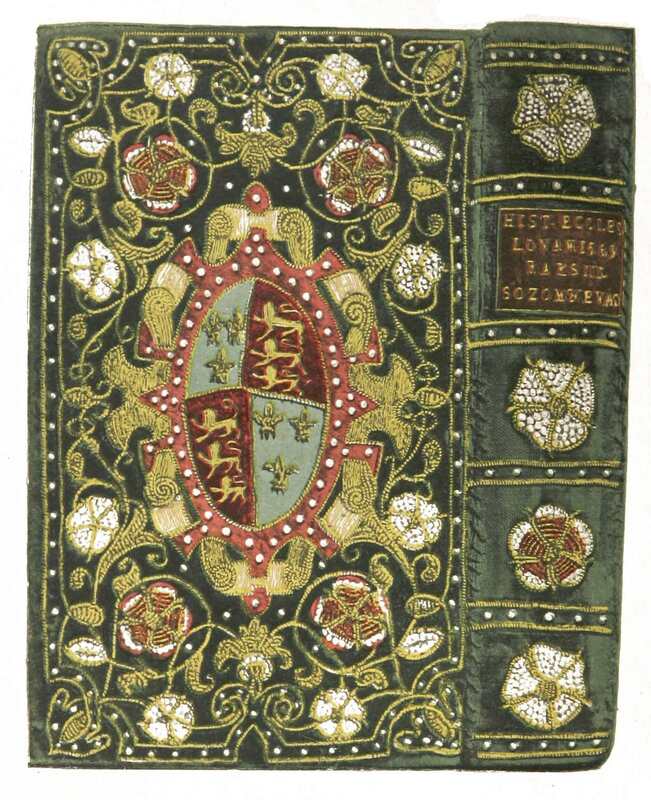 From English Embroidered Bookbindings (see below). Clicking on the pictures in the Gallery will take you to their Internet webpage and further information. A Schole-House for the Needle, Richard Shorleyker. (1632). Over 60 Illustrations of lace and embroidery patterns from the sixteenth and early seventeenth centuries with an historical background by Santina M. Levey. Available directly from Elizabeth Mason.